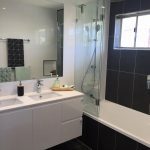 “After years of wanting to renovate my laundry, Mark offered me a great solution – keep the 1950’s feel of the laundry but update it with some much needed storage. 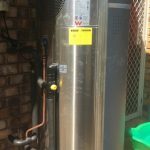 Mark & his team moved my hot water system outside, giving me the space to have a custom made cabinet that not only looks fabulous but solves all my storage problems. 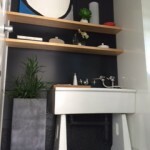 They also custom made me some solid oak shelves to provide a modern twist on an my old laundry. 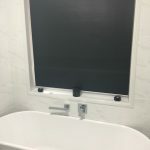 Mark and his team listened to all my ideas and then created my space, keeping me up to date throughout the process and delivering the final product on time. 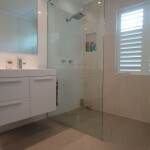 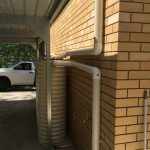 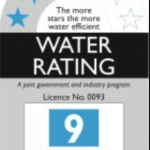 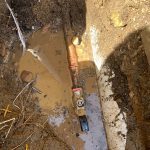 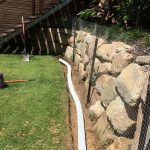 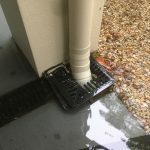 I highly recommend Mark and The Gap Plumbing team for any renovation from ‘keeping with the times’ to modern and on trend” Chae – Ashgrove QLD.